The average rent per square meter for an apartment in Tokyo’s 23 wards in November was 3,306 yen (about $2.54 per square feet), the 35th consecutive month of year-on-year increases, based on Real Estate Japan’s analysis of data recently released by Tokyo Kantei. 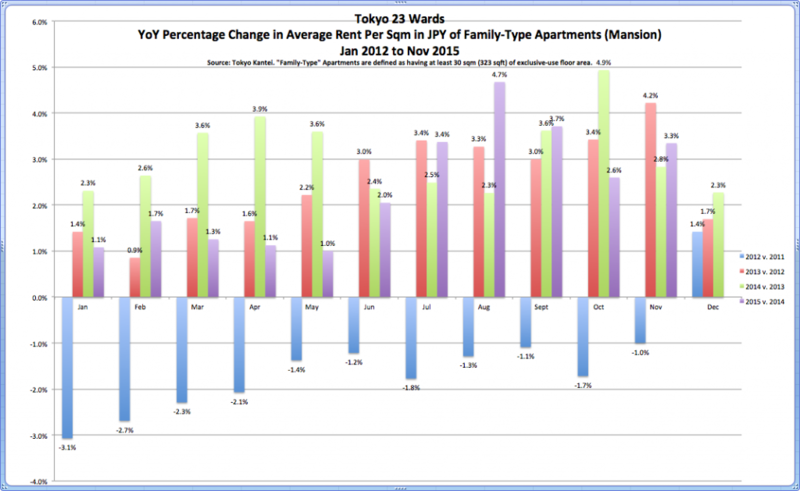 Tokyo Kantei’s November average rent data is not great news for renters in Tokyo. The chart below shows the year-on-year increase in the average rent per square meter for a “family-type” apartment in Tokyo’s 23 wards, from January 2012 to November 2015. Only about 46.2% of households in Tokyo own their own home, meaning that 53.8% of households in Tokyo are renters. This is the lowest home ownership rate in Japan, but not really a surprise. 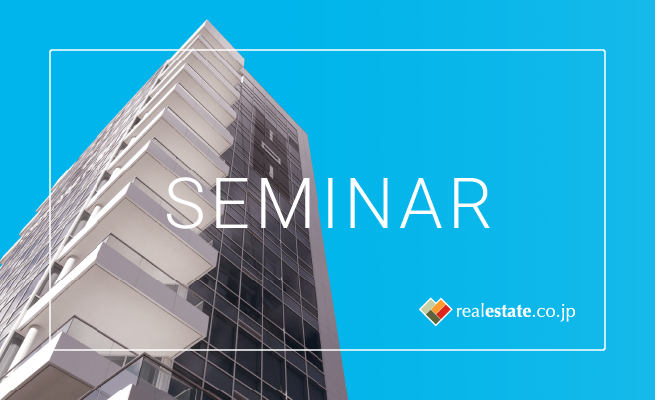 The average price of new condos, resale condos, and resale single-family homes in Tokyo continues to put in aggressive year-on-year gains, reflecting general demographic trends, rising construction costs, and strong demand from investors and owner-occupant buyers in central areas. Based on the November data cited above, a single person renting a typical 20 sqm (about 215 square feet) one-bedroom apartment in the 23 wards would pay an average monthly rent of about 66,000 yen (about $547). The Tokyo Kantei data is actually based on average rent for “family-type mansions” (apartments) that have at least 30 sqm (323 square feet) of living space. So an average 30-sqm apartment meant to accommodate a family would typically cost an average of 99,180 yen ($821) a month in Tokyo’s 23 wards. Thirty square meters is not a lot of space for a couple, much less a couple with at least one child, but it is the reality of living in one of the most densely populated cities in the world. 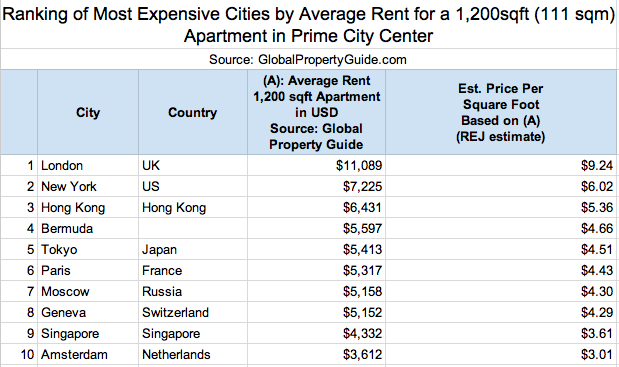 But is Tokyo really an “expensive” city for renters compared to other cities around the world? In the United States, rent data is often reported by the average rent for an apartment with a certain number of bedrooms and not by the rent per square foot, but we can do a ballpark comparison to see how Tokyo stacks up. As noted above, the average rent per square foot for an apartment in Tokyo’s 23 wards in November was $2.54. 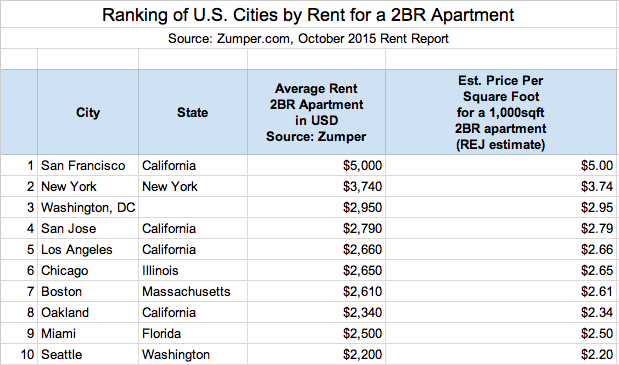 According to Zumper.com, the following were the most expensive cities in the United States to rent a 2-bedroom apartment in October. Based on this data, Tokyo (at $2.54/sqft) would rank just above Miami (#9), in terms of average rent per square foot, but well below San Francisco and New York, the two most expensive cities. Average floor area in U.S. cities also tends to be much higher than in Tokyo. An average 2-bedroom apartment in many major American cities usually averages about 1,000 square feet or about 93 square meters, an almost unheard of size for the average rental unit in Tokyo’s 23 wards. Of course, 90sqm+ apartments are available in Tokyo, but these are usually in luxury buildings, and the average rent per sqm for these high-end units is also much higher than the overall average. Looking at another set of data, as compiled by GlobalPropertyGuide.com, Tokyo ranks as the fifth most expensive city to rent in a prime residential area in the city center. The estimates in the chart below are based on a 1,200 square foot (about 111 square meter) apartment. 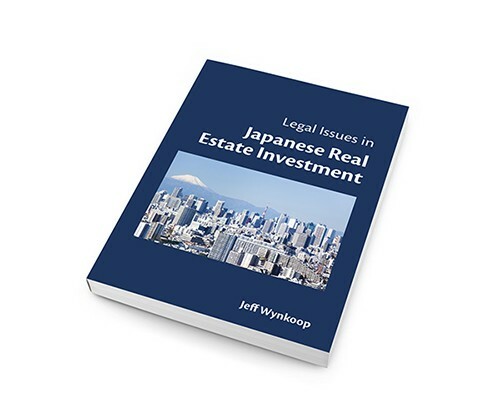 Tokyo Kantei considers a family-type apartment in Tokyo to be one with a minimum floor size of at least 30 square meters, which is only about one quarter the size of a prime residential apartment, as defined by Global Property Guide. Based on these data sets, Tokyo can not be considered an inexpensive city to live in, but it’s also not off the charts compared to some other overheated markets around the world, especially if you are not looking for a high-end apartment in the city center.